As we all know, sleep is so important and getting a good night's sleep is essential for us to feel our best. Throughout my life my relationship with sleep has been one of ebb and flow. I've never really been a full blown insomniac thankfully, but I've definitely gone through times when I just couldn't fall asleep because my mind was all over the place. At other times, due to work or school commitments I've missed out on adequate sleep. These days I fluctuate with my sleep patterns somewhat still. Usually the culprit is my chattering mind. Lol. I'm usually lying there thinking about what I need to get done or something like that. Inevitably, I end up being a bit tired because I haven't slept enough. So recently I've been trying to do better with my nighttime rituals in order to put me into a better zone for a good night's sleep. I've been turning off my phone a while before I go to sleep which is very peaceful just by itself. And I've been reading around bedtime which helps me to enjoy my reading, but it also helps slow me down so that I can rest. One other thing that I've added to my ritual is the use of SleepPhones. SleepPhones are these wonderful headphones that you can wear as you sleep. 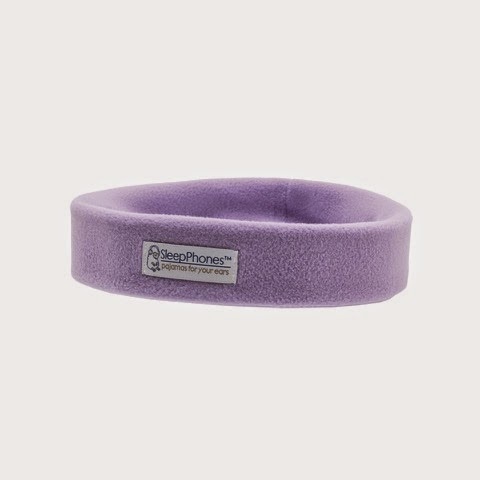 There are thin removable speakers positioned inside a soft headband which are very comfortable to wear. You can play any type of music, audiobooks, meditations, white noise, or whatever you like as you relax at bedtime. I love that the SleepPhones are padded and you don't have to worry about anything sticking into your ears, especially if you're a side sleeper like I am. I also really like that the speakers can be removed so that you can wash the headband. I have the SleepPhones® Volume Control Headband Headphones. I've been trying SleepPhones out for a few nights now and they have really helped me to calm my mind at bedtime. Another thing that I've enjoyed is the opportunity to go to their website and download some great MP3 tracks that can help with getting a calmer sleep experience. They utilize binaural beats which help to soothe the mind and assist with getting a much better night's sleep. Here's a video that illustrates what these wonderful headphones can do. If you're interested in finding out more, please visit them at their website here. Disclosure: A pair of SleepPhones were sent to me free of charge for review. All opinions are mine. Note: I have enjoyed using SleepPhones, however, everyone is different so I am in no way stating that the headphones are a cure for insomnia or any other sleep-related issues. I am not a doctor or sleep specialist, so please see your health professional for any issues that you may have.